The work on the garden continues, interspersed with finally starting to sort the pots out after winter. It's so strange to have had a very warm early spring, and yet be setting the plants out later than ever before. The echeverias could probably do with a little cleaning up and extra water, but generally things are looking good. While the succulent beds are being built, some of the pots will be put back on the temporary deck form last year. It's a bit of a juggling act this year. I was originally only going to put plants ear-marked for planting in this space, but it ended up being anything that looked good. 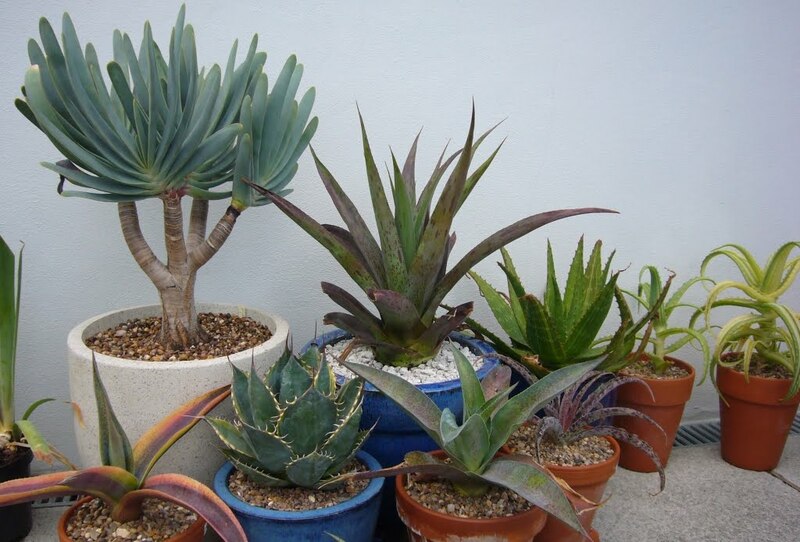 There are too many pots and too little time to split everything, it can be sorted as the planting spaces become available. 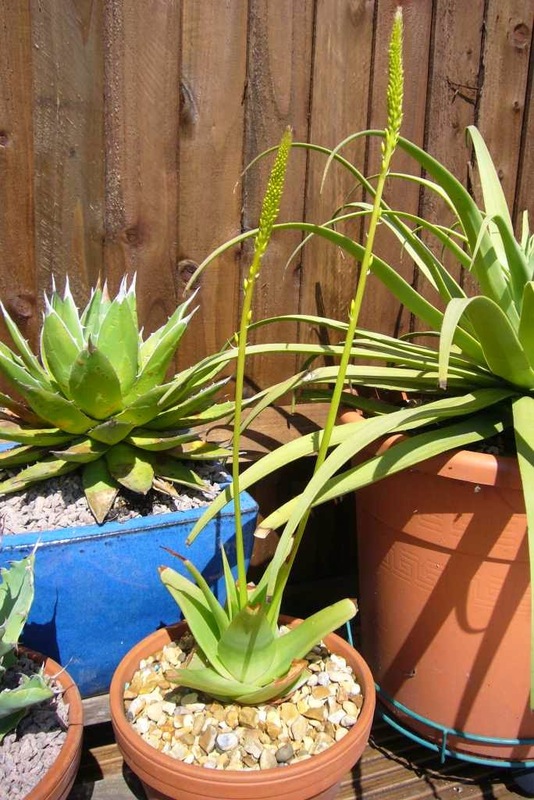 First of the plants looking good right now is agave parasana, which has a little pup. 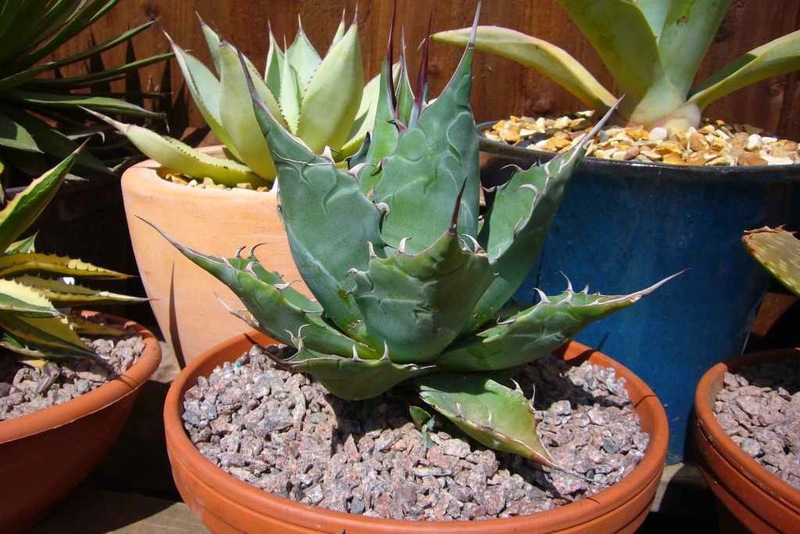 Good specimens of this agave are hard to beat, but it is one that is often overlooked for some reason. There is a really good blue form as well, which I have yet to track down. It is borderline here, larger plants should be fine without protection in my garden, but undecided if it will get planted when the time comes. The next one is probably just a sport of something, the label is no use at all. It is lovely whatever it is, the bud in-prints, the big gummy teeth, what's not to like. Anyone have any suggestions please let me know. 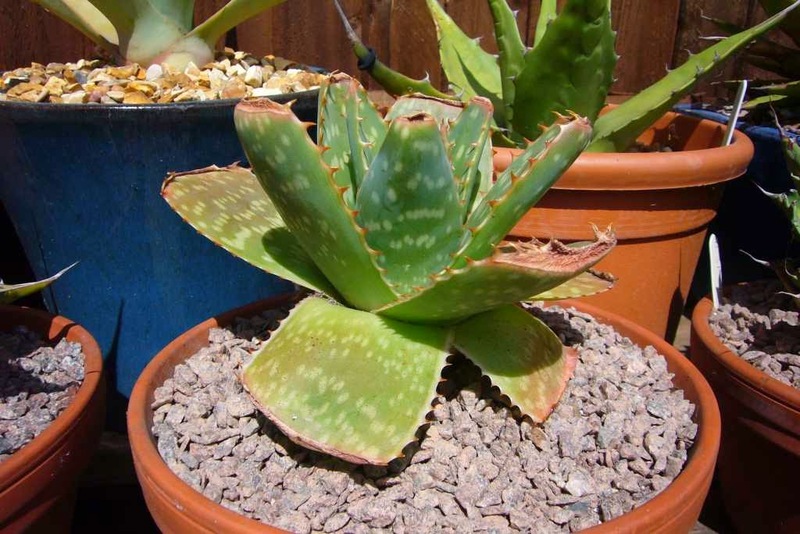 One that does have an ID and I have been nurturing since it was a little seedling, is this agave parryi HK1684. There are so many forms of parryi, tall, round, blue, compact you can get them all. This one is not only nice and blue but has really dark spines. The good news it that it's reliable from seed and is one you can pick up around the place. 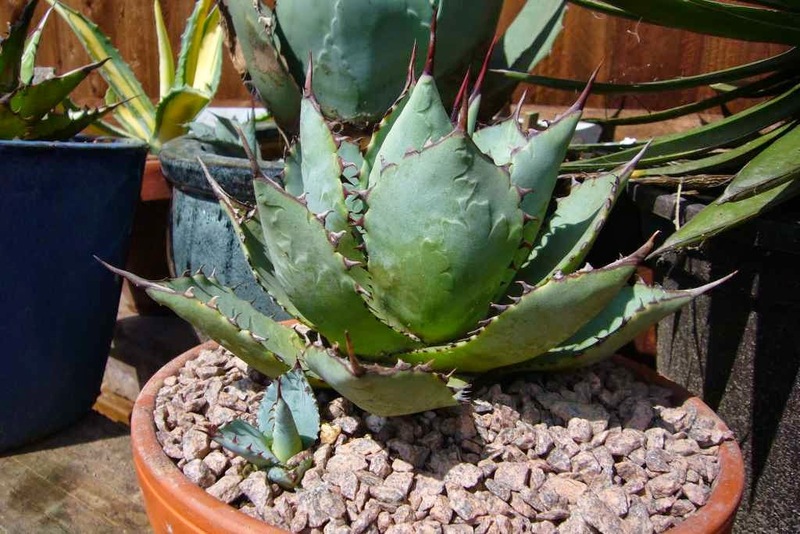 The agave mitis albicans is slowly getting bigger. It is much slower than the normal form, but that colour is worth it. Sadly too much rain dilutes the colour, it's a shame not to have it out on display though. Finally my long term unknown agave. I picked this up from a collection years ago and since then no one has been able to ID it. I have given up, it could be one of the horrida forms, it has also been one of my favourites. I should probably have taken a picture of the bracteosa as well, it doesn't seem to mind being in a pot, and has offset profusely. When it gets planted, I'll probably split it and spread the pups around different pars of the bed. 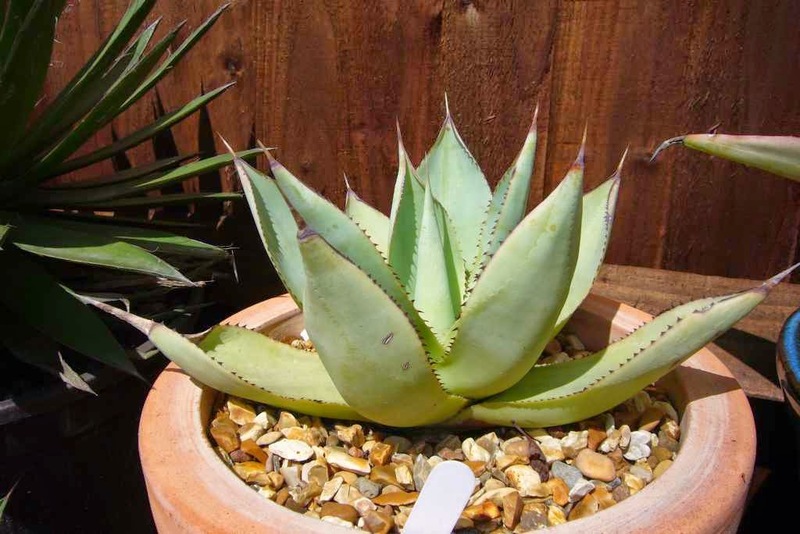 One of the aloes, this one really shouldn't be hardy, there are very few aloes that will cope with London lows. It gets a rain cover and breezes through every year. In fact this is the first time it has not flowered. It is one where the leaf tips die and curl up. I don't like them and cut them off each spring to tidy the plant up. Finally one my bulbine latifolias. The plant hasn't grown much, which is not a surprise as it gets so badly treated for such a good plant. I has started to flower properly though which is great. It tends to flower slightly later at the end spring, so missing the main rush of alpines. Whenever I see them in greenhouses in large gardens they are always in flower no matter the time of year. A week or so and mine should be looking its best. Apart from getting the garden all planted, maybe my resolution for the year should be to treat it better and try to get the plant looking good as well. I'll have to keep an eye out for slugs for a start if last year was anything to go by. Have you got the Agave book by John Pilbeam? 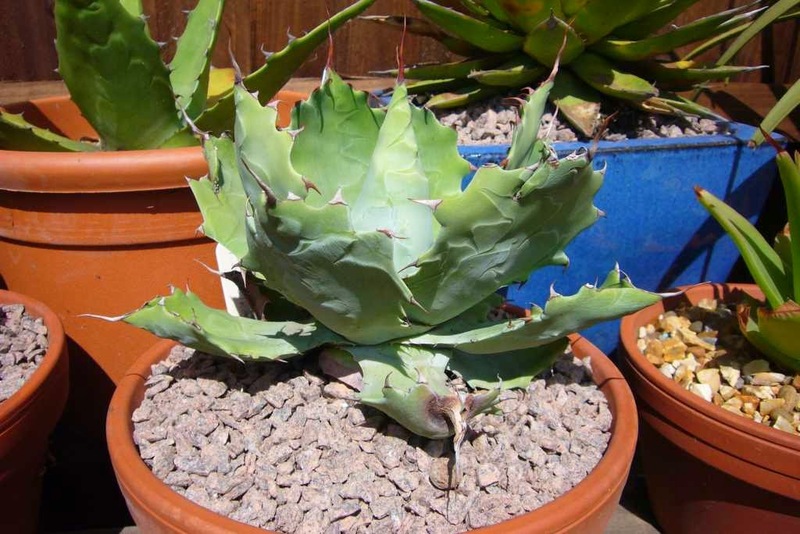 I don't yet, I have been to his nursery a few times and chatted about echeverias (and have the echeveria one), but don't have the agave on yet. 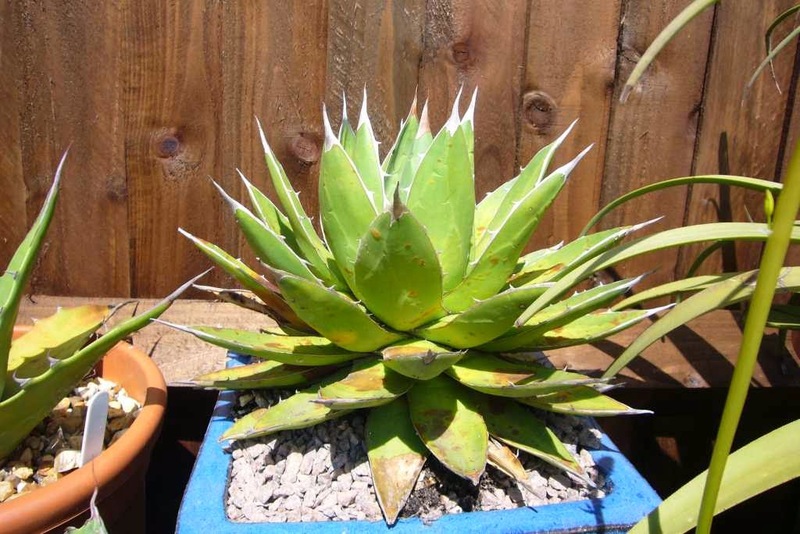 I think your unknown Agave is an Agave Guiengola. I have the same one and it did take me forever to figure out their name. Awesome blog btw, I've been following for a few months.